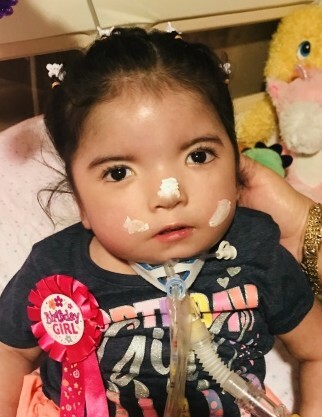 Kaylynda Aaliyah Dominguez, 2, passed away on Wednesday, February 6, 2019 in Laredo, Texas. Kaylynda Aaliyah is preceded in death by her paternal grandfather, Gilberto Cardenas; uncle, Jesus Gonzalez. She is survived by her parents Juan M. Dominguez and Alexandria Azenette Dominguez; siblings, Kylie Alexa Cardenas, Javier Alexander Cardenas, Khiara Azanette Dominguez; maternal grandmother, Herlinda Estrada; paternal grandmother, Patricia Mucino. A visitation will be held on Saturday, February 9, 2019 from 7:00 a.m. to 8:30 a.m. at Gamez & Sons Funeral and Cremation Services. Departure will be immediately after visitation to St. Joseph Catholic Church where a mass will be celebrated at 9:00 a.m.